It is time to fulfill your appetite without blowing your budget with Pizza Hut’s Piso Pizza Promo! Saturday the 9th is #WorldPizzaDay- a day to celebrate the most famous and iconic Italian dish in the world! Pizzas were meant to be baked to make our heart and soul jump for joy. This is the reason why foodies around the world has dedicated a day just to celebrate our penchant for pizzas. And what’s better than World Pizza Day? A 1-day Pizza Hut’s Piso Pizza Promo. Tickle your taste buds and savor every bite when you order a Large Classic or Specialty ala carte Pan Pizza on February 9, 2019. Enjoy your choice of a Hawaiian Supreme or Bacon Cheeseburger Regular Pan Pizza for only Php1. Mar your calendar and have a taste of this culinary masterpiece with the entire family or friends. 1. The promo is valid when Customers purchase 1 Large Classic or Specialty ala carte Pan Pizzas Only. 3. 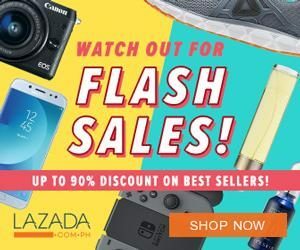 The promo is good for 1 day only, February 9, 2019 following the regular store and delivery operating hours and valid for dine-in, take-out and delivery. 5. Dine-in orders are subject to 10% service charge, while delivery orders are subject to Php40 delivery charge. 6. The pizzas cannot be upgraded to any Stuffed Crust Pizza variant. 7. Promo is available in all stores nationwide. 8. Senior Citizen/PWD can choose either the Senior Citizen/PWD Discount or the Piso Promo Discount. You might also want to check out Yellow Cab Pizza’s World Pizza Week Promos. Click HERE for more information. 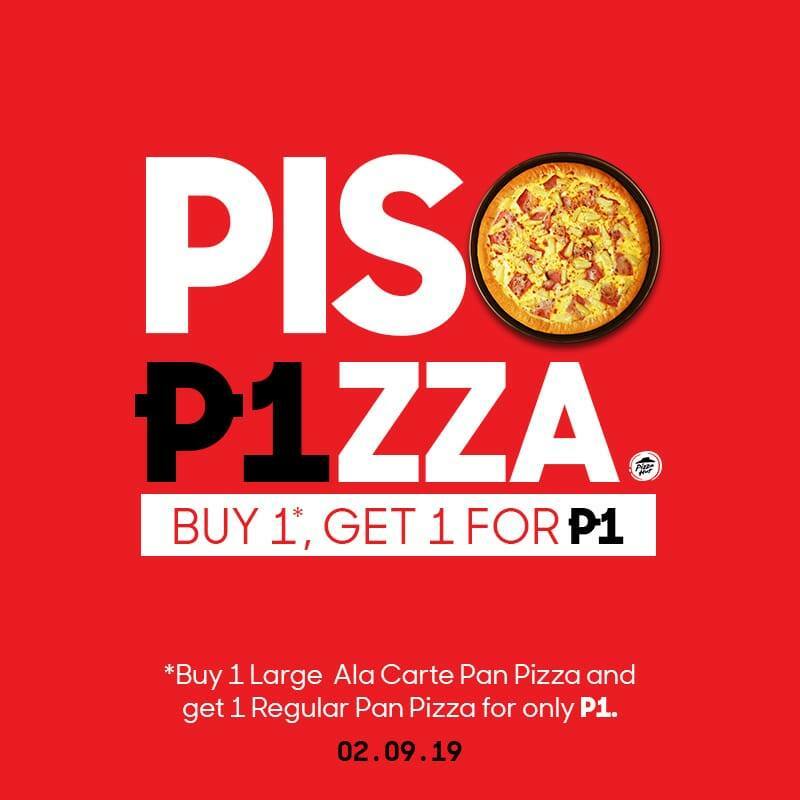 'pizza hut piso promo' - 'pizza food promo april 9 2019' - 'pizza hut piso' -Enjoy!